“I’ve got nothing to lose—there is so much opportunity in Canada” says David Quiroz Marin, the smile on his face evident in his voice over the phone. 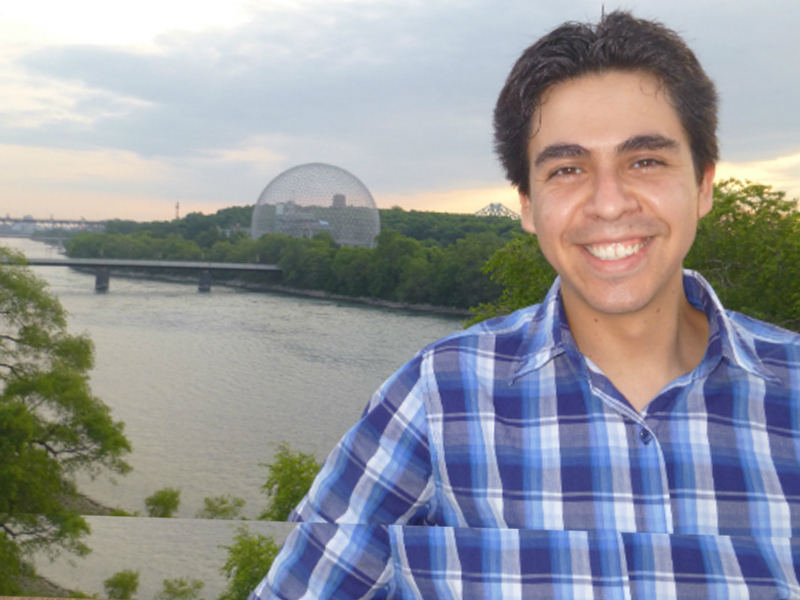 The Computer Science student from the University of Guanajuato, Mexico completed an internship on software data visualization at École Polytechnique de Montréal’s Department of Computer Engineering this summer with Dr. Giuliano Antoniol. In collaboration with fellow Mitacs Globalink student Nayantara Duttachoudhury, he has developed a system to visualize the evolution of a software program from its first inception to the latest edition. It’s something like being able to see —in a simple, compact way— the changes of internal computer code from the first-ever edition of “Multi-tool Word” in 1983 to the current Microsoft Word 2010. This type of information is useful to software engineers and designers as they continually advance software to be faster and more user-friendly for new computer operating systems. For David, working on this project has helped to expand his understanding and skill set in data visualization and computer graphics. “This internship was an opportunity to try something new and to learn more about my academic field.” he says. Beyond his new understandings of the laboratory, being a part of Mitacs Globalink has exposed David and his cohorts to a wealth of experiences in Québec, and central Canada. The experiences he has had through his Globalink internship as well as the warm welcome he has had in Canada have motivated him to want to return as soon as he is able to.